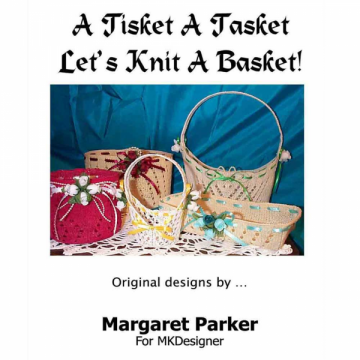 A Tisket A Tasket ~ Let's Knit A Basket! Perfect for any reason in any season! There are a total of 6 patterns for various sized baskets in this collection. Full pictures and complete directions for knitting these up on your knitting machines! And they can be done on most machines!